U.S. Congressman Tom Garrett has introduced legislation designed to decriminalise marijuana by taking it off the federal controlled substances list. Congressman Garrett represents Virginia’s Fifth Congressional District and while the legislation has national implications, he of course has the potential for his home state in mind. 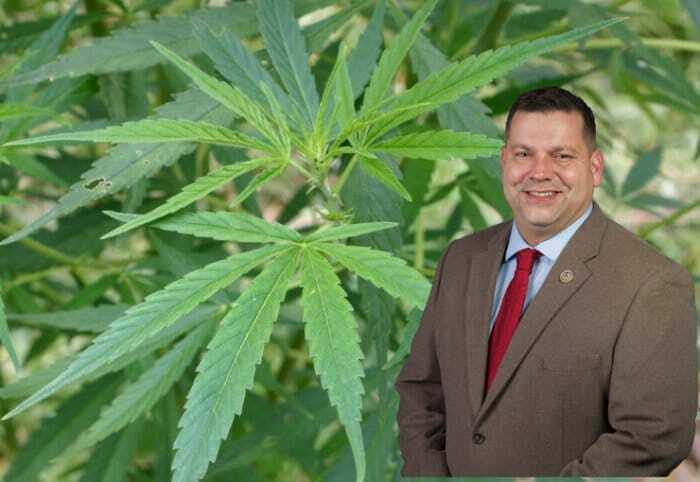 “..this step allows states to determine appropriate medicinal use and allows for industrial hemp growth, something that will provide a major economic boost to agricultural development in Southside Virginia,” he said. Mr. Garrett believes Virginia is more than capable of looking after its own marijuana policy, as are other states. The spirit of “Ending Federal Marijuana Prohibition Act of 2017,” was originally introduced by Senator Bernie Sanders in 2015; but was defeated. Lead cosponsor of this bill is Hawaii Congresswoman Tulsi Gabbard. Mr. Garrett is confident of gaining bipartisan support for the bill. In the USA, marijuana is still listed as a Schedule I drug. It’s widely considered overkill as this classification means it has a high potential for abuse and has no currently accepted medical use in treatment in the United States. It’s a classification that incorporates drugs such as heroin, LSD, MDMA and ” bath salts”. The fact is that is being widely used for medicinal purposes in the USA, and with the blessing of a number of states. Like many states, medical cannabis and industrial hemp are politically and legally complex issues in Virginia. In January last year, a bill was passed by a Virginia state House committee to authorize commercial cultivation and production of industrial hemp in the state. The bill also passed the Senate. However, hemp related activity is still hamstrung by Federal law. In February, legislation was passed by the House permitting the local production of cannabidiol and THC-A. Virginia has allowed medical cannabis for a very long time (1979), but only for managing glaucoma or the side effects of chemotherapy. In 2015, it also allowed patients possessing some low- or zero-THC medical cannabis products for treating intractable epilepsy to avoid a conviction, but not an arrest.